Offered for sale on the POPULAR Hadrian Village estate, is this three bedroom Town House which is arranged over three floors. The home offers a GOOD STANDARD of accommodation and has recently been REDECORATED throughout providing READY TO MOVE INTO accommodation and can be offered on a CHAIN FREE BASIS if required. The property benefits from GARAGE and DRIVEWAY PARKING, and the master bedroom benefits from a DRESSING ROOM and EN SUITE FACILITIES. The rear garden takes advantage of a WESTERLY ASPECT. This would make a LOVELY FAMILY HOME. 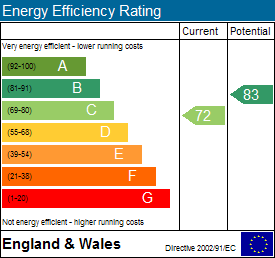 Council tax band B and energy rating C. Lease TBC. To arrange a viewing please call Next2buy on 0191 2953322. Entrance Hallway - Stairs to the first floor landing, radiator, access to lounge. Lounge/Dining Room - 6.26m x 4.52m (20'6" x 14'10") - Double glazed window, radiator, wall mounted inset electric fire, double glazed French doors leading out to the rear garden. Kitchen - 4.38m x 2.32m (14'4" x 7'7") - Fitted with a range of wall and base units with work surfaces over, integrated electric oven and gas hob with extractor hood over, single drainer sink unit, double glazed window, double glazed French doors leading out to the rear garden, laminate flooring. Downstairs Cloakroom - 1.63m x 0.82m (5'4" x 2'8") - Comprising; low level WC, wash hand basin, part tiled wall, radiator. Bedroom 2 - 3.36m x 2.61m (11'0" x 8'7") - Built in sliding door wardrobes, double glazed window, radiator. Bedroom 3 - 2.80 x 2.61 (9'2" x 8'7") - Double glazed window, radiator. Family Bathroom - 2.19m x 1.86m (7'2" x 6'1") - Fitted with a three piece suite comprising; bath, low level WC, wash hand basin, part tiled walls, tiling to floor, double glazed window, radiator. 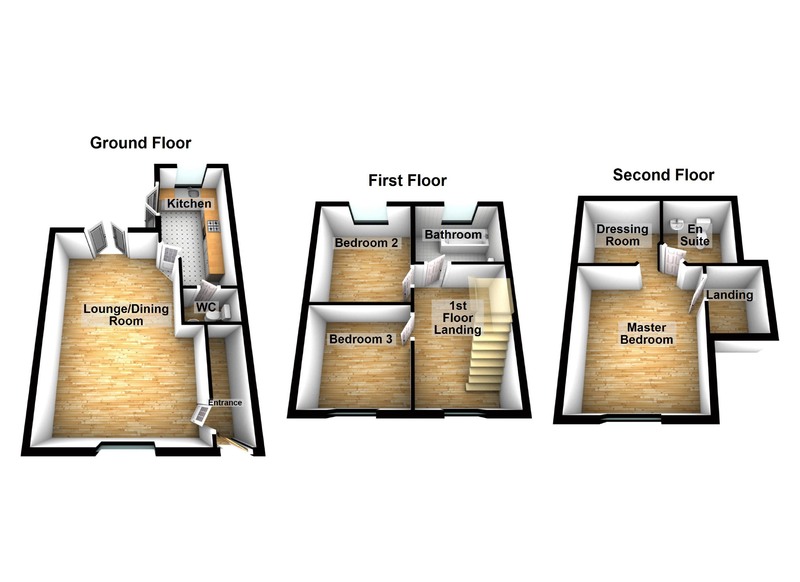 Master Bedroom - 3.96m x 3.53m (13'0" x 11'7") - Double glazed window, radiator, access to dressing room and en-suite. En Suite - Comprising shower cubicle, low level WC, wash hand basin, part tiled walls, radiator, tiling to floor, double glazed Velux style window. Dressing Room - Open to bedroom area. External - Externally there is a garden to the front which is laid to lawn together with driveway parking and access to a single garage. To the rear there is a westerly facing garden which is mostly laid to lawn and gives rear access to the garage.